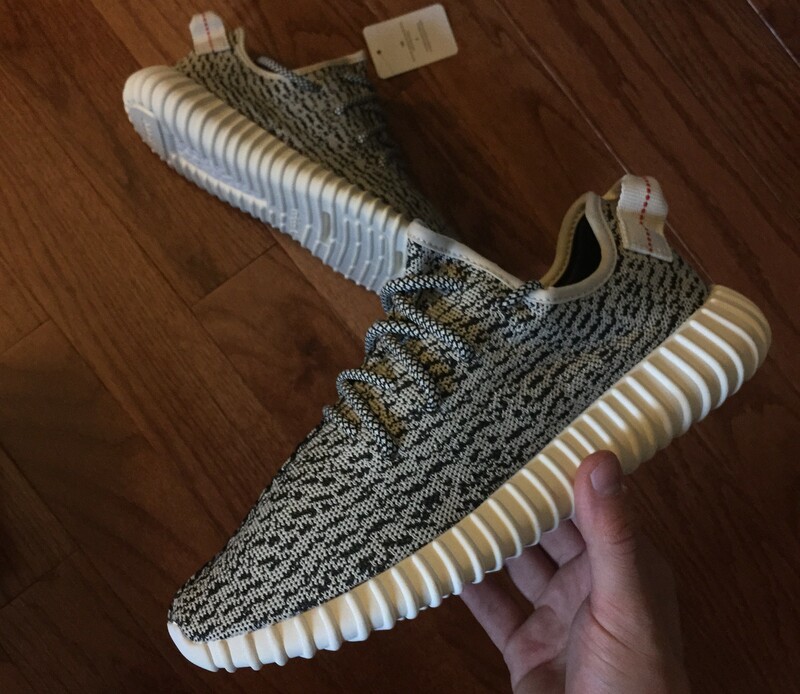 On Saturday, June 27th the world was #blessed with the second model of the Kanye West adidas line, the Yeezy Boost 350. The shoe managed to put not only the sneaker community, but the entire world into a Yeezy-induced frenzy. I had friends and family who wear shoes such as the Air Monarch asking me whether or not I’d be purchasing the coveted sneaker. As fate would have it, I received a call from Foot Locker at the Toronto Eaton’s Center on Thursday night around 9:45 PM, letting me know I was selected to be one of the few chosen to buy the shoe on Saturday. The price tag on the pair was quite hefty, at $265.00 plus HST (in Ontario at least) the shoe touched $300.00 after tax. The first noteworthy detail was the packaging that encased the shoe. 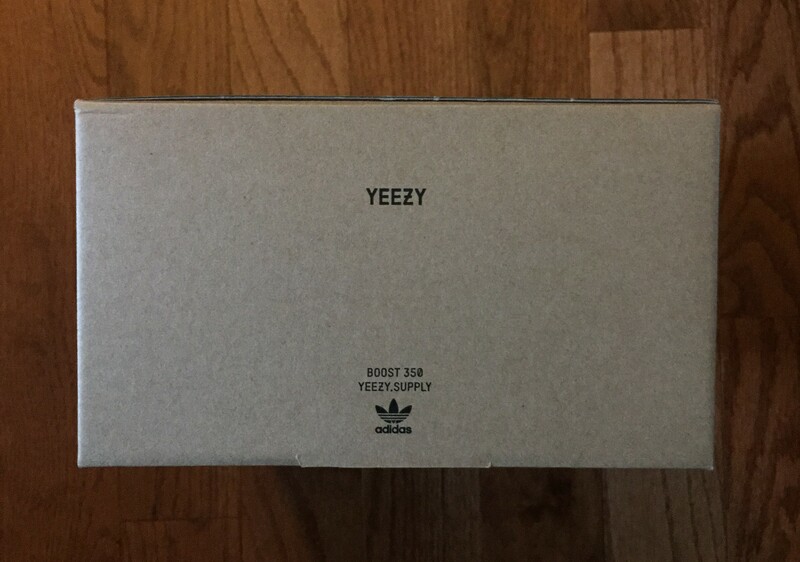 The box resembles a BIN 23 Jordan box, with a dual-fold lid dressed in a cardboard-like brown. The colour code reads TURTLE (lol) / BLUGRA / CWHITE, with the box label placed directly in the center. 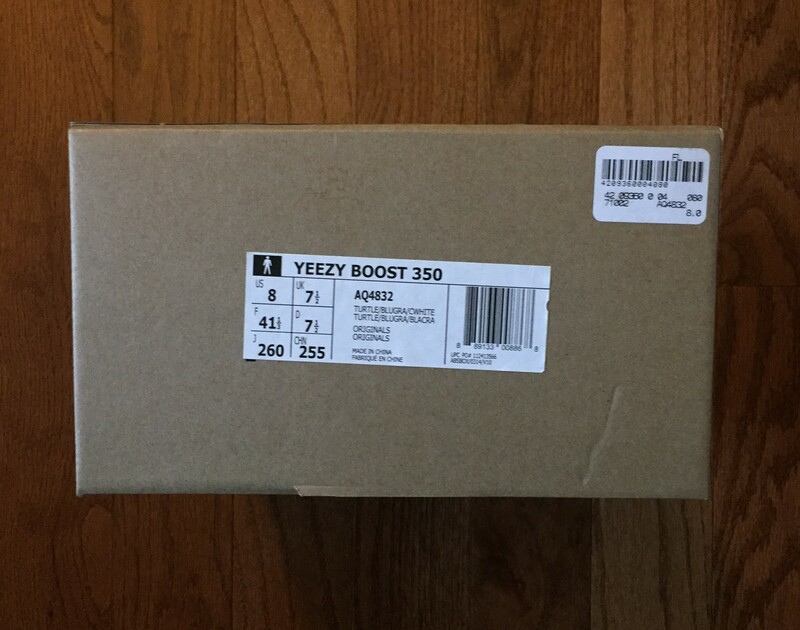 The rear of the box boasts a YEEZY stamp with the model name, BOOST 350, and YEEZY.SUPPLY directly below it. The right shoe has a paper hang tag with various different languages on it, and to be honest I have no idea what the Flux this tag is for, or what it says. 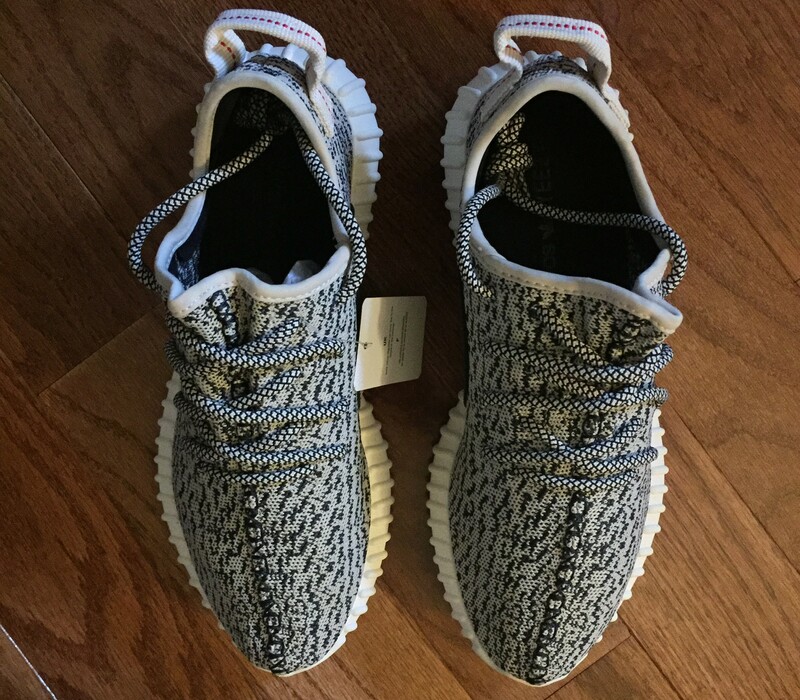 First off, the quality on these shoes is exceptional. My pair has zero loose threads, glue stains, factory creases, or any other defects. The Primeknit which makes up the entirety of the upper of the shoes seems very heavy-duty and extremely cozy. 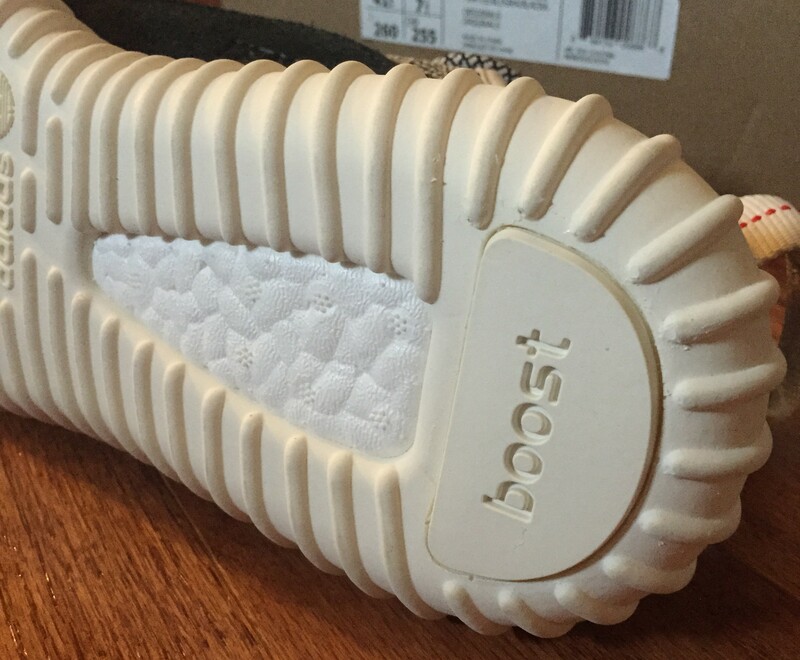 The Boost sole bulges out past the upper, and is also ribbed (for her pleasure), similar to the Yeezy Boost 750. After walking around in these for a few minutes I can see why adidas and Kanye decided on the Boost sole, as it is extremely comfortable; just like its running shoe cousins. The medial side of the right shoe is draped with a suede semi-circle embossed with more YZY branding, while the left shoe sports an adidas Trefoil. 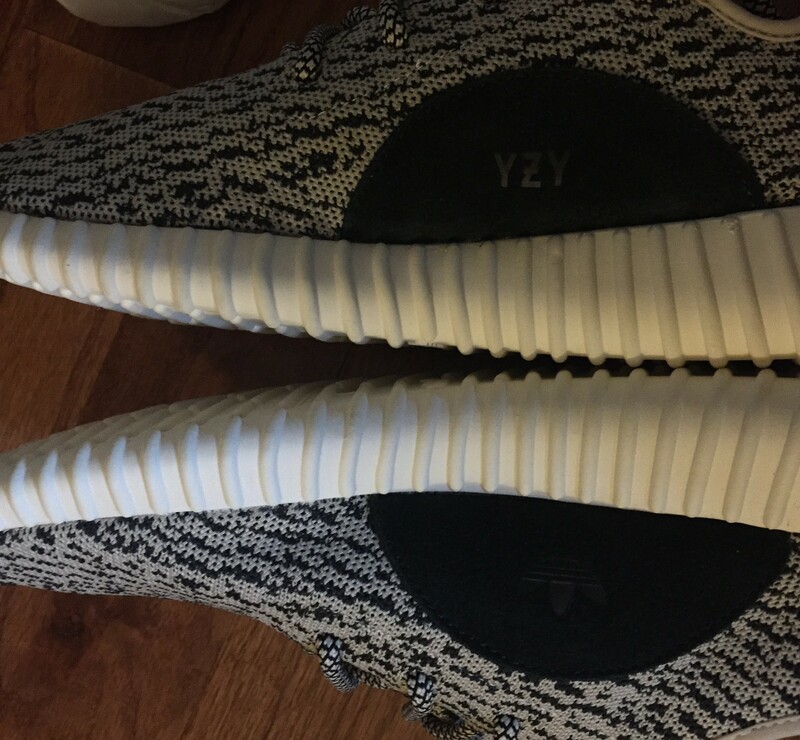 More Yeezy and adidas branding can be seen on the insole of both shoes. 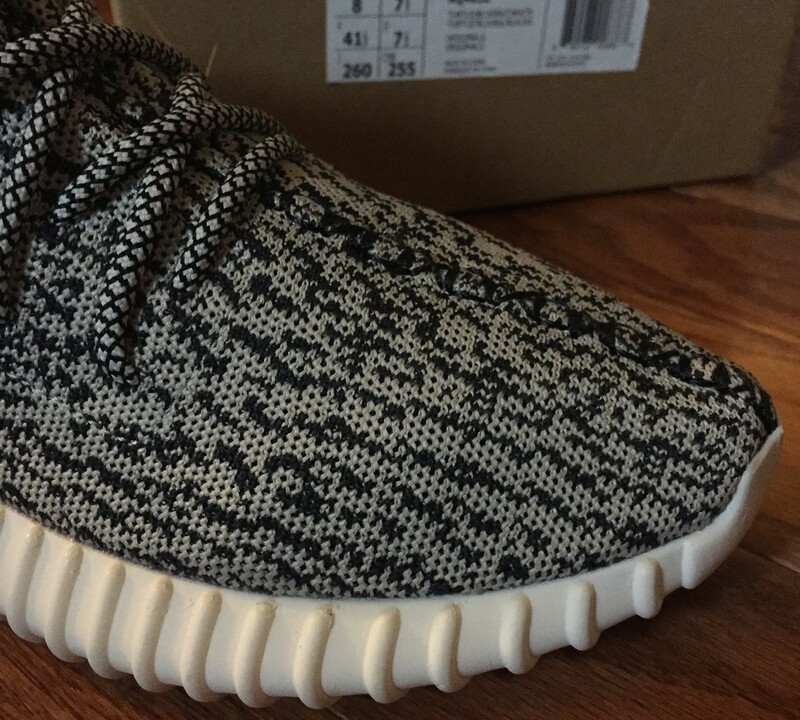 Sizing on this pair is very similar to the first Yeezy Boost, fitting about half to a full size big. I am a true size 9 and am perfectly suited to fit into a size 8. All in all, the shoe is extremely comfortable. For the price, however, you could buy a pair of Flyknits AND a pair of Energy Boosts. As much as I love Kanye West, music and fashion wise, I think the retail and resell price on this pair is outrageous. But, to each their own, and I hope you got them if you wanted them, like I did…. Not to Brag.